Halloween is on a Saturday this year and my youngest wants to have a sleepover with her school friend. We plan to trick-or-treat in our neighbourhood. I’m also deciding on what to feed them because I don’t want them eating candy all night long. Almond Breeze has a spooky lactose-free Halloween treat that is perfect for the occasion! 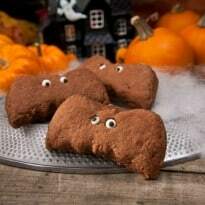 I’m going to make these delicious Chocolate Bat Biscuits to help set the mood. Don’t they look yummy? I love how fast they are to whip up. 10 minutes and you can enjoy them hot and fresh straight from the oven. I think my daughter and her friend will get a kick out of eating “bats”. Are you doing any Halloween baking? Try this deliciously spooky treat for Halloween! 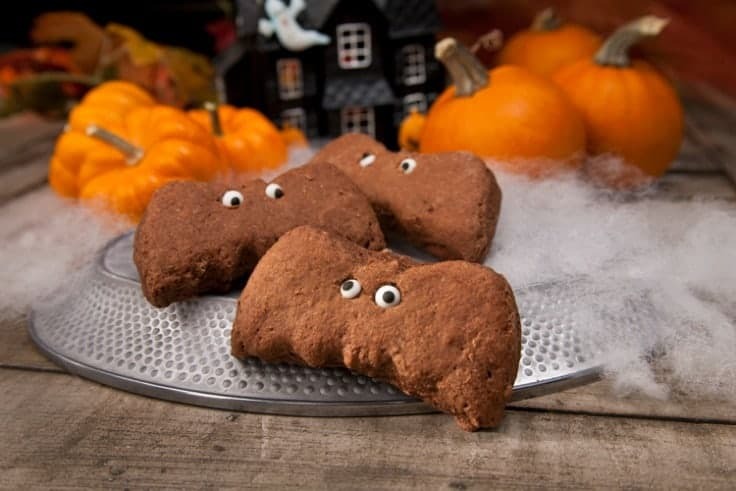 These Chocolate Bat Biscuits are lactose free and made with Almond Breeze. Preheat your oven to 400F. Lightly grease or line a baking sheet with parchment paper. In a medium bowl, stir baking mix, sugar and cocoa powder. Stir in Almond Breeze with a fork, then mix with your clean hands to make a soft dough. Knead several times on a lightly floured board and then roll out 3/4 inch thick. Cut with bat shaped cookie cutters and place on a baking sheet. Reroll scraps to use all the dough and repeat the process. Bake for 10 minutes or until dough is cooked through.